Meg Says: Need Super Cute Last-Minute Gifts? Look No Further! Need Super Cute Last-Minute Gifts? Look No Further! December is such a busy time of year and we've all been that person who's in a right tizz because they're spent all of their free time working to ensure they can have some quality time off over Christmas, and making sure the fridge is fully stocked, and attending countless parties (then having to recover because you're not eighteen anymore), and seeing family and friends... then all of a sudden the big day is approaching quicker than you can say "blast this Christmas music, it's joyful and triumphant! ", and you still haven't finished shopping. It's all good, the list of people to buy presents for grows every year and we can't all be Martha May Whovier - stay calm, pop some of the following gems I've found from Hollister into your basket and get on that life-saving next day delivery hype. For me, and pretty much everyone I know, you can't go wrong with pyjamas - especially if they're festive and extra cute, like this Printed Waffle Sleep Gift Set. Aside from being the most Christmassy shade of red and fitting like an absolute dream, they've got flipping llamas on them... yes, LLAMAS. I could honestly not love these more and they're so well-made and comfortable that I probably won't take these off until December 2017. Just call me Llama Girl. You can also call my friend Koala Girl as well if you like as I got her these adorable Flannel Sleep Pants, and my other friend Festive Bird Girl (alright, I'm just being silly now) as she's got the Flannel Sleep Shorts. Did someone say sleepwear goals? If I misheard you and you said loungewear goals, I've got you covered on that front as well with the Gilly Hicks Cozy Embroidered Logo Sweatshirt and the matching Cozy Knit Sleep Shorts. I can't even express to you how much I love these and how incapable I am of wearing them and not saying to everyone in the room, "feel how soft this jumper is, go on, feel it!" I got the sweatshirt in a Medium so it was slightly oversized but it actually fits like a Small, so I'd recommend going a size up... and I'd also really recommend buying these. They make me feel like I'm in a really cute American TV advert (even more so when I'm wearing the Gilly Hicks Pom Knit Slippers as well) and I'm all about it. Obsessed! A really beautiful present for your girlfriend or best friend is underwear (you might have to have a quick polite rifle through their bra drawer just to make sure you know their size!) and I can't think of anything more pretty and festive than this set. Everyone needs underwear, and the Gilly Hicks Red Plaid Patterned Bra and Patterned Lace-Trim Short are what Christmas dreams are made of thanks to them being incredibly soft and unbelievably pretty. This is definitely what Martha May Whovier has on under that belted Santa coat when she's decorating her house with that big fairylights contraption. Who doesn't love receiving smellies at Christmas? Okay, please tell me someone else calls them 'smellies' because now that I've typed it, it sounds really weird... anyway, Hollister have a gorgeous range including my personal favourite, the Malaia Perfume. It's musky and woody yet still really fresh and floral which I just love, it comes with the sweetest old-school pump that makes it look so classy on your dressing table and you can also get it in a Gift Set which is currently on sale. Another mega affordable discounted gift set is the Limited Edition Holiday Mist Gift Set which includes the delicious Strawberry & Sandalwood and Raspberry & Magnolia scents, for only £9. There's a whole other selection of gift ideas other than my favourite picks that I've chosen here if you need some more inspiration, and if you're buying for one of the guys in your life then there's a section for them here. 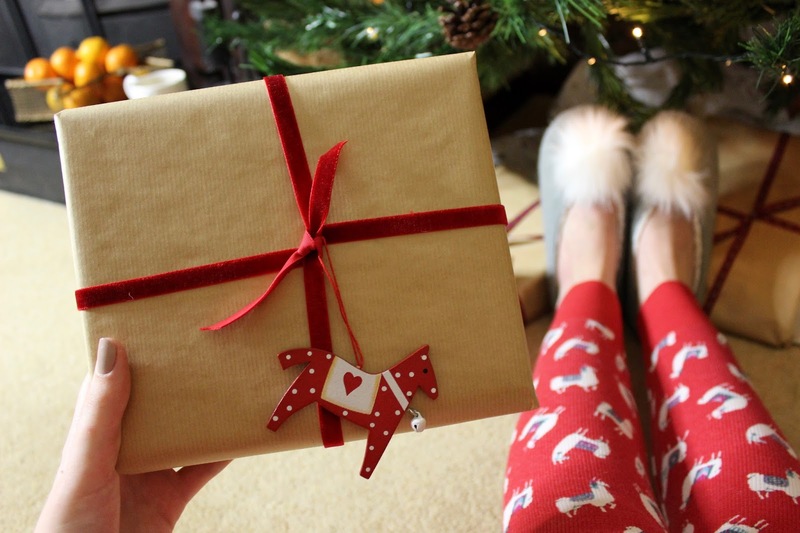 I've found that as I've gotten older giving gifts is way more fun and feel-good than receiving them, so I really hope this post is helpful for you - although I wouldn't blame you if you ordered these items as a special treat for yourself this year either! Merry Christmas! This post is sponsored by Hollister. All opinions and words are 100% my own and honest. Affiliate links have been used. For more information, please see my disclaimer here.